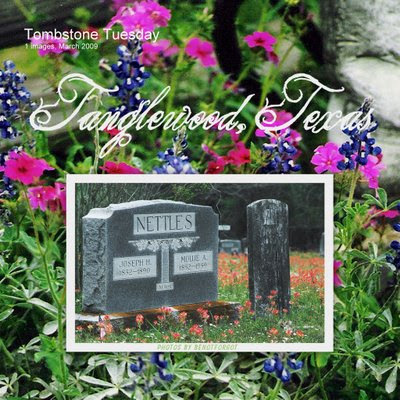 I love how you have shown the beautiful spring flowers in the cemetery with the photograph of the tombstone. Spring time flowers to me are a sign of hope. I love Texas wildflowers. Thanks for sharing your photo.